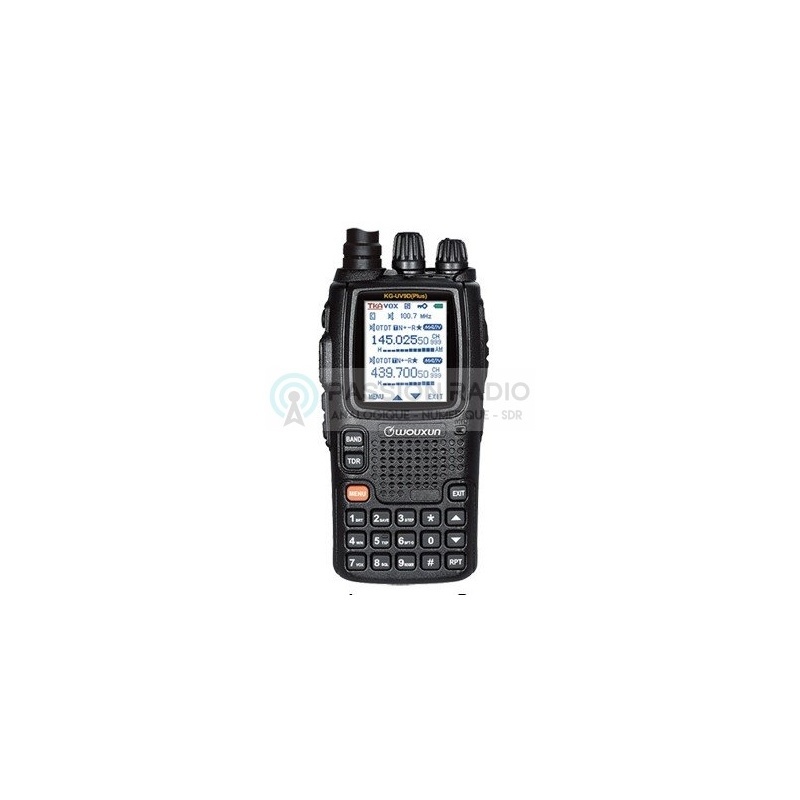 The Wouxun KG-UV9D PLUS VHF / UHF walkie-talkie covers VHF amateur band 144-146Mhz and UHF 430-440Mhz in reception and transmission, with a power of 1-5 watts in VHF and 1-4W in UHF and 7-band scanner VHF-UHF in reception only. Comes complete with: 1 Wouxun KG-UV9D Plus, 1 Li-Ion Battery 2000mAh, 1 VHF / UHF dual-band antenna, 1 belt clip, 1 lanyard, 1 EU 220V charger, manual in English. 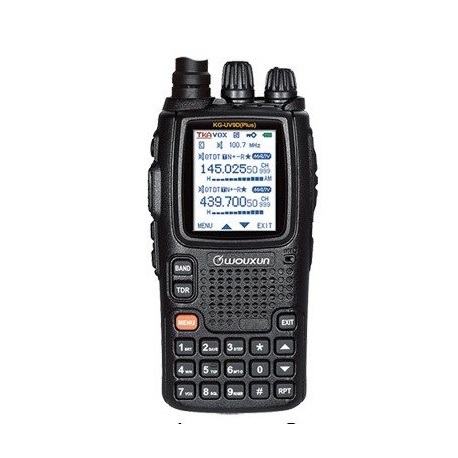 Description: The Wouxun KG-UV9D PLUS VHF / UHF walkie-talkie covers VHF amateur band 144-146Mhz and UHF 430-440Mhz in reception and transmission, with a power of 1-5 watts in VHF and 1-4W in UHF and 7-band scanner VHF-UHF in reception only. - Usable with radio license - FM analog mode - 999 channels - Frequency step: 2.5 KHz / 5KHz / 6.25KHz / 10KHz / 12.5KHz / 25KHz / 50KHz / 100KHz - Cross-band repeater and transponder function, dual simultaneous reception - 88-108Mhz FM radio and voice control - 2000 mAh battery - Autonomy: 20-24h approximately - Programmable by computer with USB cable (optional) - Antenna connector: SMA female (SMA male compatible antenna) - Range: 3-5 km and up to 10-15 km outdoors depending on the clearance and in direct view Comes complete with: 1 Wouxun KG-UV9D Plus, 1 Li-Ion Battery 2000mAh, 1 VHF / UHF dual-band antenna, 1 belt clip, 1 lanyard, 1 EU 220V charger, manual in English.